Dura mater spinalis passes through the spine which is positioned between the cranium and sacrum. Spinal dural tension may cause pain and muscle tension and restriction of cerebrospinal fluid circulation. 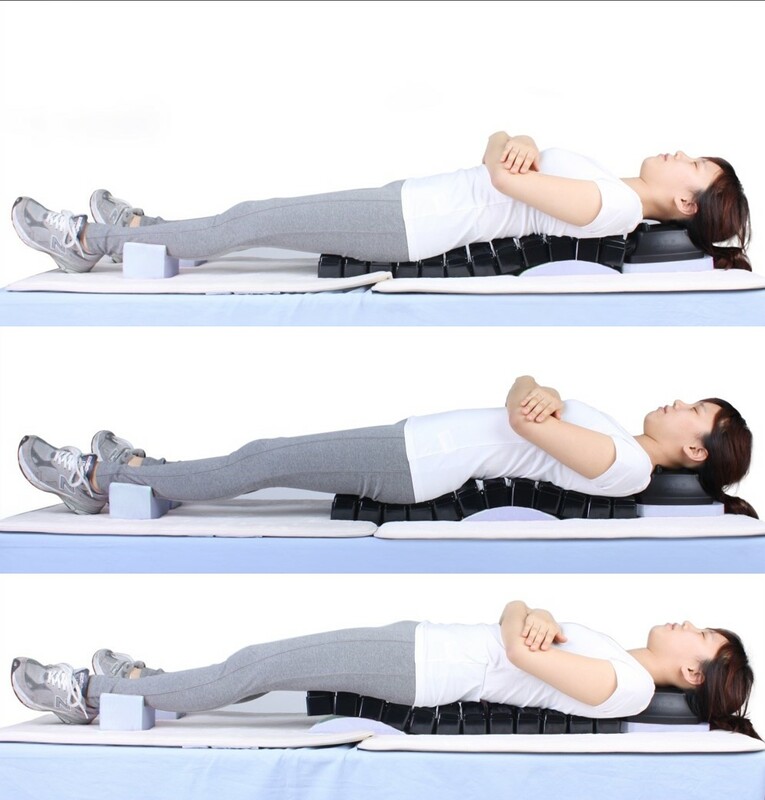 Spine Balancer aims to resolve spinal dural tension and rearrange the spine into an ideal position based on the principles of the lever (lump shaped surface of the device) and principles of gravity (weight of the body) which allows the user to enjoy the effects by simply lying on the device. If Spine Balancer is used together with CST Pillow greater results can be experienced as it allows enhancement of posture and relief of muscle, ligament and fascia tension from the neck and shoulders down to the lower part of the spine.